Xiaomi Mi Note is an Android smartphone that was launched in 2015, January. The phone comes with 5.7 inches large display. Here, you will find the required drivers for you Xiaomi Mi Note. 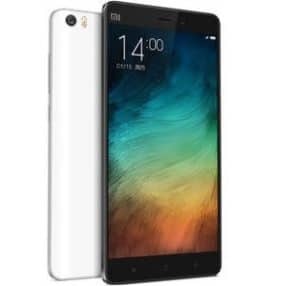 Xiaomi Mi Note is packed with 16 or 64 GB of internal memory with 3 GB RAM. Regarding the camera, it include 13MP Primary camera with dual LED flash including features and 4 MP secondary camera for selfies. The version of software installed on it is Android 4.4.4 (KitKat) and you can also upgrade it to Android 6.0 (Marshmallow). It is equipped with Quad-core 2.5 GHz Krait 400 processor to support the performance of the phone. The connectivity medium include WLAN, Bluetooth, GPS and USB. It is powered by 3000 mAh battery to support its large display of 5.7 inches with a resolution of 1080×1920 pixels covered by corning gorilla glass 3 technology. The sensors on the phone include Accelerometer, Proximity, Gyro, Barometer and compass. The price Xiaomi Mi Note in india is 21,990.